Plymouth supporters make a lasting difference! CAFOD is part of “Your Catholic Legacy” – a group of Catholic charities working together to raise awareness of the life-changing and life-saving services provided by Catholic organisations in the UK and across the world; and encouraging more people to leave a gift in their will to Catholic causes. Each year, we’re blessed to receive a number of legacy gifts from friends in Plymouth diocese. Last year there were 10! These gifts came in all shapes and sizes but every single gift can – and does – change someone’s life. Working with Aid to the Church in Need, Apostleship of the Sea, Missio, SVP, Progressio, HCPT, Pact, Society of the Little Flower, The Passage, Cardinal Hume Centre, the Columban Missionaries and The Catholic Trust (the charitable arm of the Bishops’ Conference), we’re hoping to build on the rich tradition of legacy giving within the Catholic Church and community. If you’ve already taken steps to remember CAFOD in your will: thank you from the bottom of our hearts. If you haven’t yet made a will or considered leaving something to charity, maybe you could take 10 minutes out of your busy week to think about what you’ve inherited from others and what you’d like to leave to future generations. For more information about making a will or leaving a legacy to CAFOD, visit: legacy@cafod.org.uk or call Heather on 020 7095 5367. 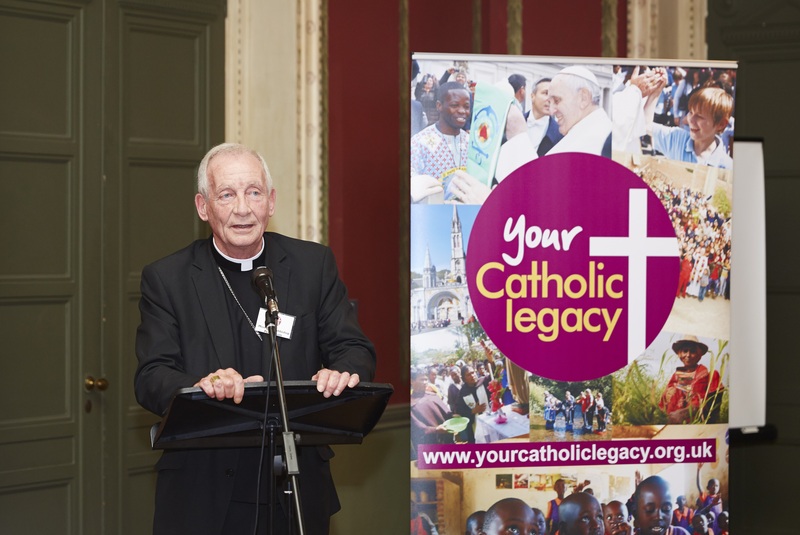 To read more about Your Catholic legacy and the member charities, visit: yourcatholiclegacy.org.uk or call Hannah on 020 7095 5370. What will your Catholic legacy be? This entry was posted in Volunteering by bmcsmith. Bookmark the permalink.